Step off the elevator and you’re on the Library’s 5th floor, also known as the Casino or Mixing Chamber, where technology and people mix. Over a hundred public computer stations, always in heavy use, line the floor. Library staff work at an Information Desk that sits below George Legrady’s “Making Visible the Invisible: What the Community is Reading”. The interactive artwork is “an electronic installation that visually maps the circulation of The Seattle Public Library, revealing the community’s collective reading interests” by broadcasting titles, subject headings and Dewey Decimal Numbers of items that have been checked out earlier in the day. The Library’s non-fiction collection spans four floors and begins on Level 6 where you’ll find magazines, newspapers and other assorted government documents. Level 7 hosts the Business, Science and Technology department. In connection with Boeing’s Seattle-area roots, there’s an entire room devoted to aviation-related texts and documents. 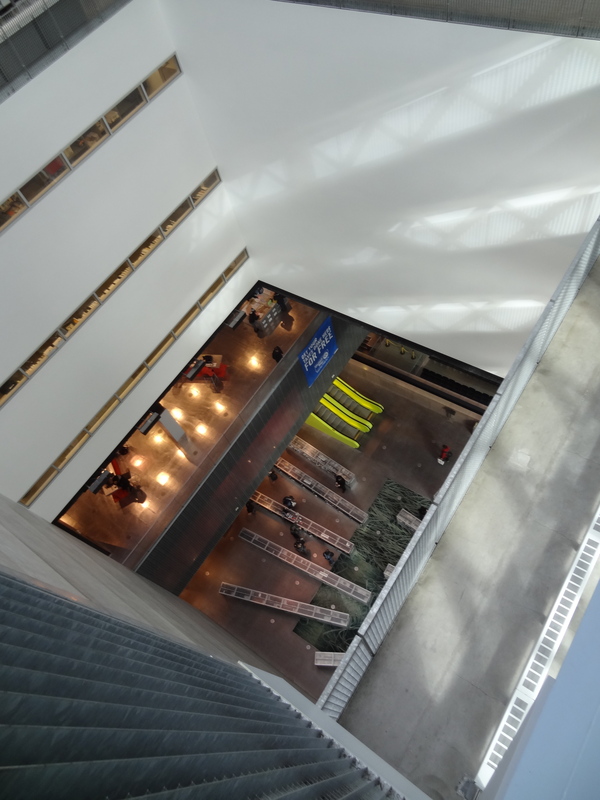 Level 8 is home to the Arts, Recreation and Literature department. 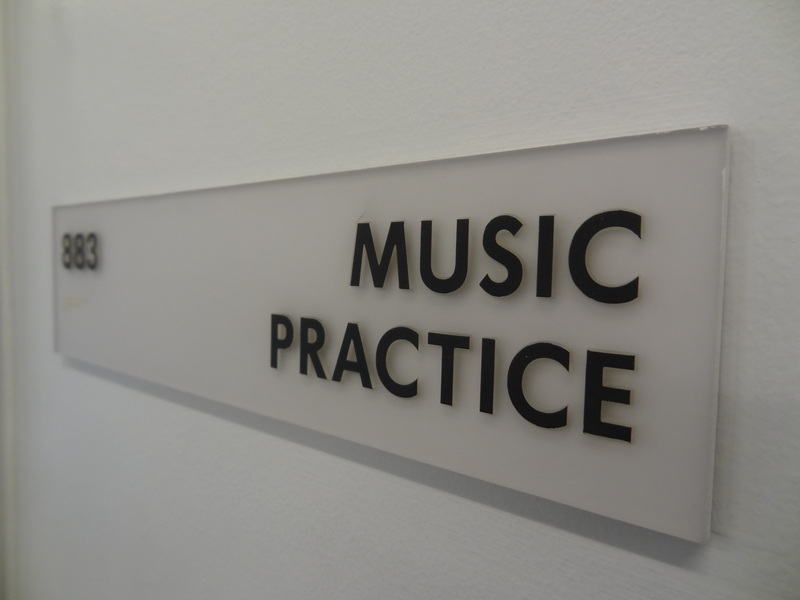 Specializing in music, poems, plays and all around craftiness – the floor also has 2 music practice rooms, offering keyboards that patrons can use to compose works or practice on. Level 9’s focus is History, Travel and Maps – complete with a whole room lined by flat-files and filled with all sorts of road, topographic and political maps. Rounding out the floor is a room that published writers can apply to use, pending approval from a managing librarian. The Seattle Room is located on level 10. I’ll let you guess what it contains… Great! You got it! The location is the home to the Library’s Special Collections, which includes all sorts of great photographs, documents, yearbooks and other Seattle related treasure. Hours are limited and appointments are available, so be sure to look at the site before you plan your visit if you’d like to access those resources. Completing the 10th floor is a large light-filled reading room as well as the highest public viewpoint. The 11th floor will be off limits to you. Administrations of all sorts have their offices and cubes up there. 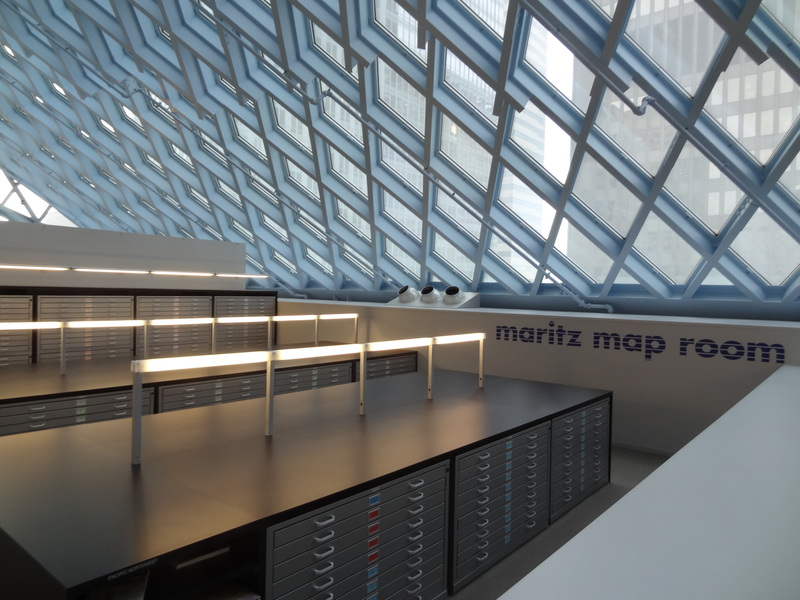 Human Resources, the City Librarian’s office, the Seattle Public Library Foundation, Finances… if there’s a bunch of paperwork and red-tape, chances are it’s up on that mysterious floor. Well, that’s pretty much it. 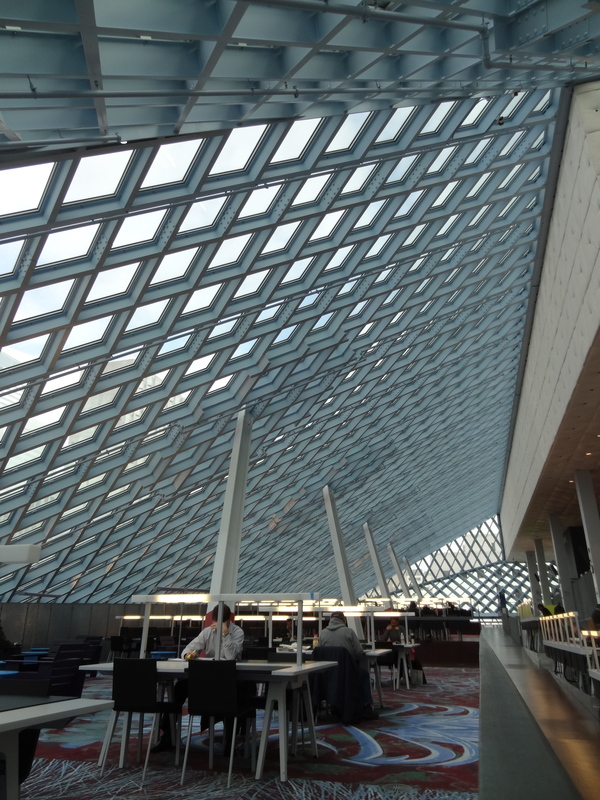 These 3 blog posts about the Central Library aren’t all-encompassing, but they do give you a good idea of what cool things you can find in this polarizing building. As I mentioned earlier – a lot of folks love it, celebrate it and use it heavily. A lot of folks look at it with disdain and avoid it while cursing its perceived lack of usability and waste of taxpayer money. Whichever side of the spectrum you fall on, or if it’s somewhere in between – can’t we all just agree and be happy that at least it’s not as atrocious a design as the Experience Music Project?